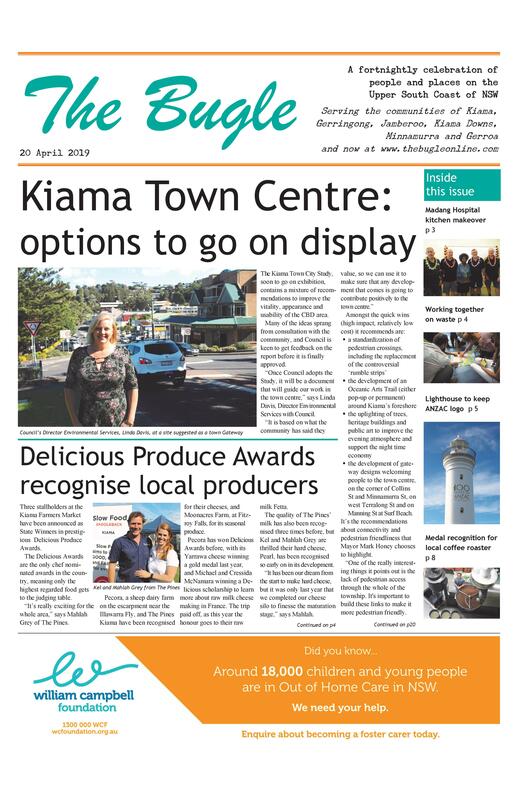 Kiama Council is to formally complain to Optus and the Telecommunications Ombudsman about a mobile phone tower that is to be built above the Jones Beach shops in March (first reported in The Bugle last December). Unlike the other tower Optus intends to build in Kiama, at the sports ground in Haviland Place, the decision on whether to approve the Jones Beach tower was taken out of Council’s hands. Approval for the sports ground tower was achieved through a standard DA process which allowed Council to consider its suitability. However the Jones Beach tower was classified as a low impact facility under the provisions of the Federal Telecommunications Act, which has a set of standards relating to height, size and location which, if met, classify a facility as low impact and not requiring Development Consent. Despite the required public consultation showing many residents do not consider it low impact, given they overlook it, the project was approved. At the February Council Meeting, Councillor Kathy Rice said, “I don’t think Optus assessed this site thoroughly to begin with. They need to have regard for an area being a community sensitive location. “I feel the report sent to Council at the end of the consultation was quite misleading in that it claimed they had responded to the submissions from the community, particularly regarding view impact, by providing photo montages. I think these deliberately did not show the impact, but rather they showed contrived angles. They could have done better.